In 1956, for the first time, seventeen New Zealanders overwintered in Antarctica as part of New Zealand’s contribution to the Commonwealth Trans-Antarctic Expedition (TAE) 1955-1958 and the International Geophysical Year (IGY) 1957-1958. Among them, Sir Edmund Hillary, Leader TAE, Ross Sea Party, and Dr Trevor Hatherton, Chief Scientist, NZ IGY Antarctic Expedition. The Society recognised that the experiences and stories that each member of these expeditions held formed a vital part of New Zealand’s early history of Antarctic exploration. In 1996, aided by a grant from the New Zealand Lotteries Board, the Society interviewed ten surviving TAE members. Since that time, with additional support from the New Zealand Lotteries Board, Canterbury Museum, Sue Stubenvoll, Antarctica New Zealand, and the Antarctic Society’s members, the Society has gone on to record additional histories, including six other members of the TAE, including Hillary. The archive has expanded to 50 oral histories, which includes the experiences of New Zealanders working in Antarctica in the 1950s and 1990s. The archive provides an important historical review of the period from a New Zealand perspective. All interviews have been conducted using the National History Association of New Zealand’s code of ethical and technical practice. The tapes and transcripts are archived at either Alexander Turnbull Library or Canterbury Museum, New Zealand. 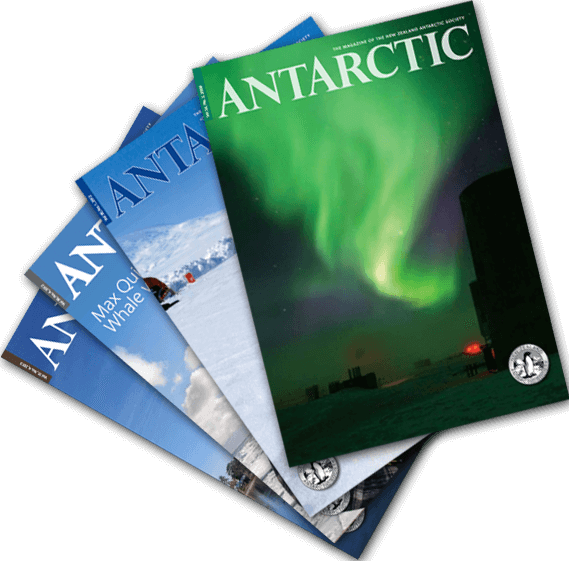 Inspired by people’s interest in the Antarctic region, the Society’s flagship magazine, Antarctic, is available as an online searchable archive. Offering more than sixty years of news and stories, the archive contains a wealth of detail and commentary on New Zealand and other nations’ activities in the Antarctic region.